Page 2 of Panama Photos. Last updated: 7/21/2010. 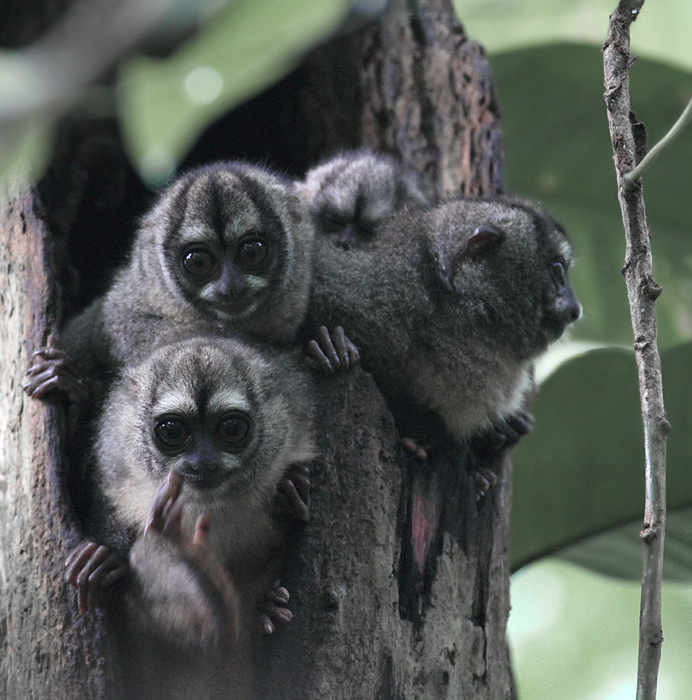 Above and below: Night Monkeys! 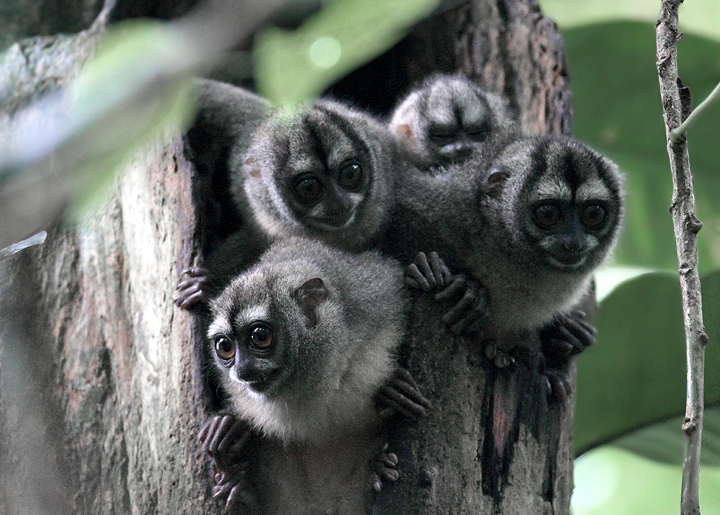 This family of Western Night Monkeys was undoubtedly one of the coolest things I have ever seen. 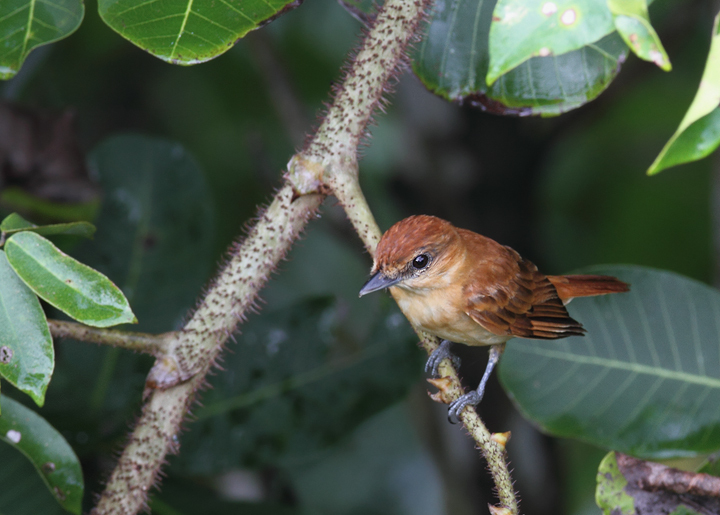 Below: A Cinnamon Becard in central Panama (July 2010). 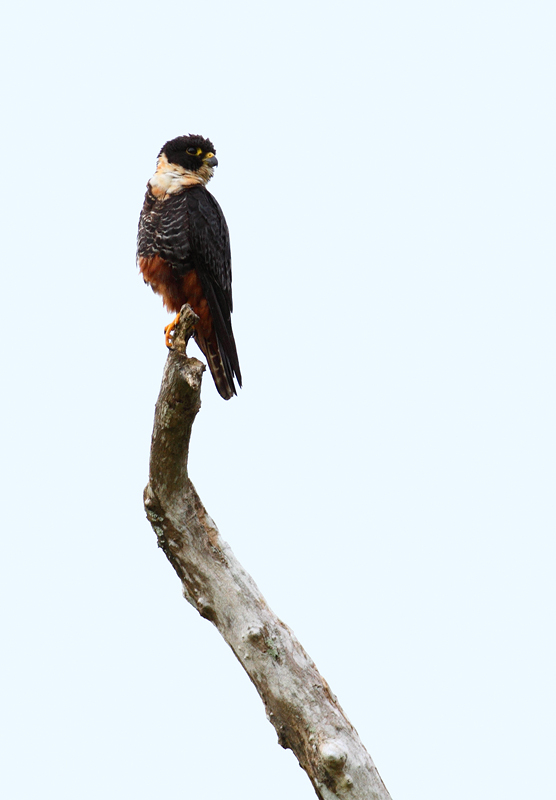 Below: A Bat Falcon hunting near Gamboa, Panama (July 2010). 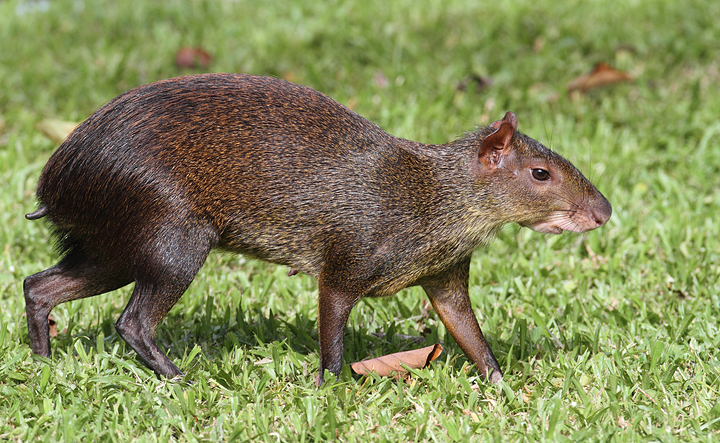 Below: A personal favorite mammal, the Central American Agouti - Gamboa, Panama (July 2010). 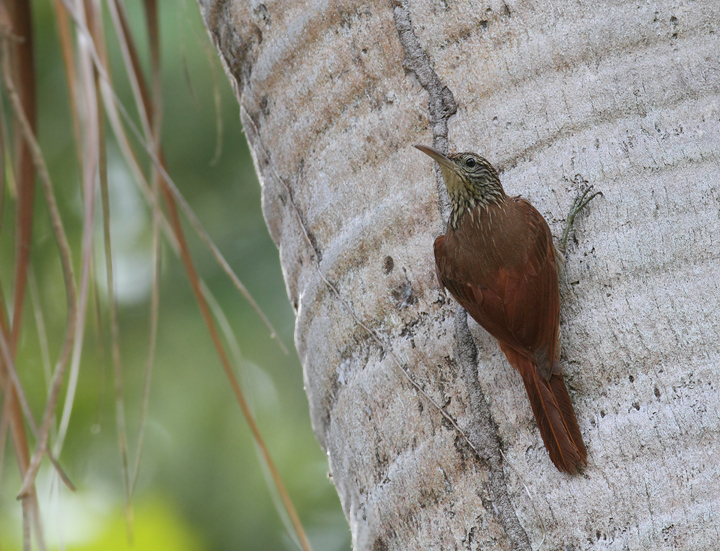 Below: A Streak-headed Woodcreeper in a residential area of Gamboa, Panama (July 2010). 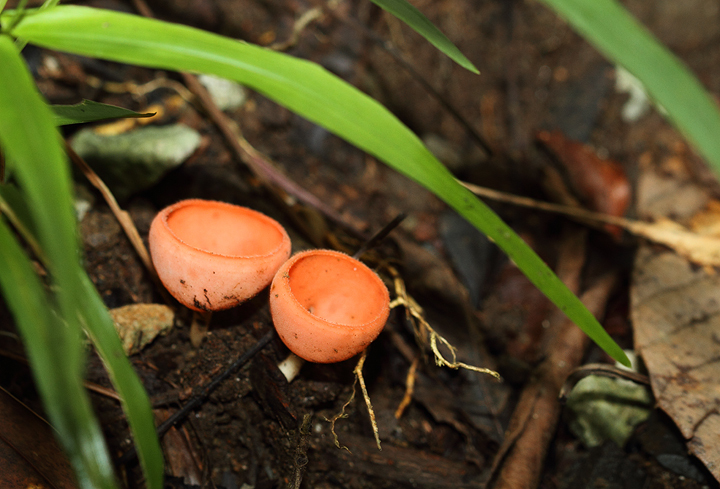 Below: An Anderida Longwing (Heliconius hecale anderida) in central Panama (July 2010). 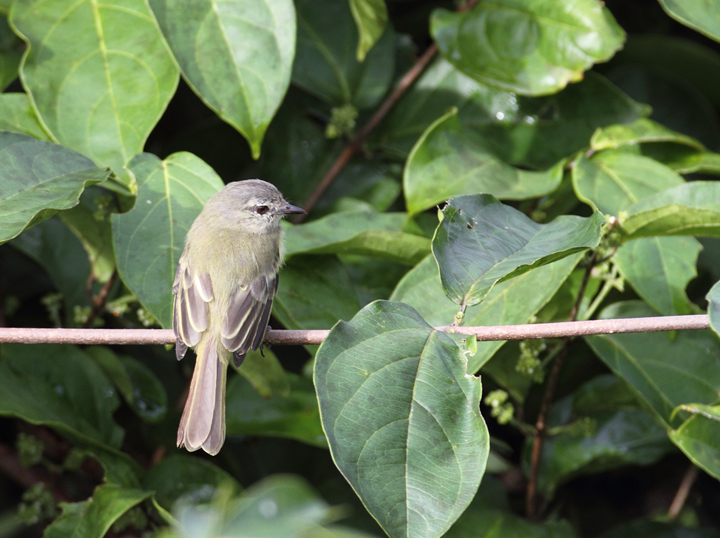 Below: A Scrub Greenlet in Gamboa, Panama (July 2010). 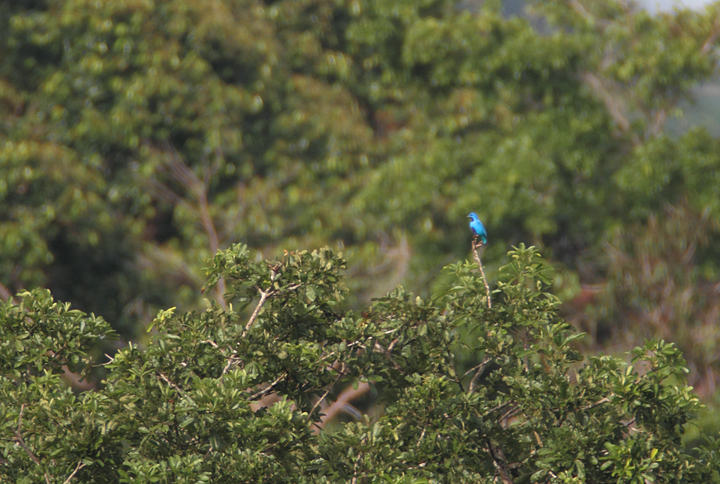 Below: A male Blue Dacnis poses in the canopy at dawn (Panama, July 2010). 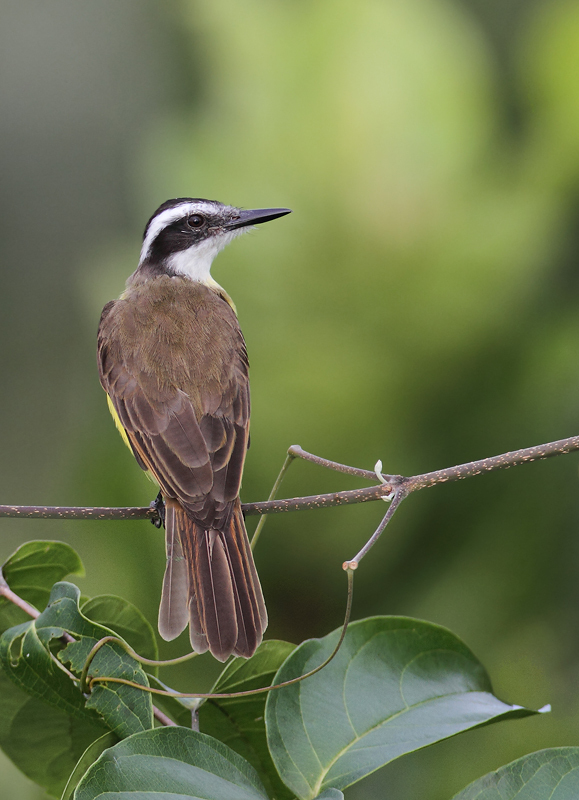 Below: A Lesser Kiskadee poses in the morning light (Panama, July 2010). 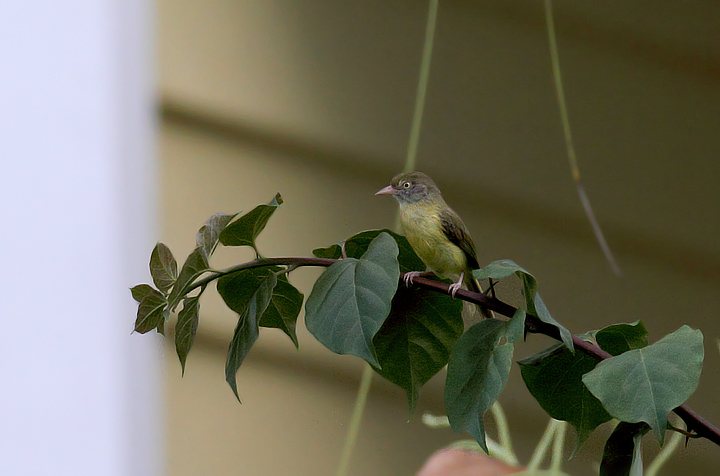 Below: The diminutive Forest Elaenia foraging in the canopy (Panama, July 2010). 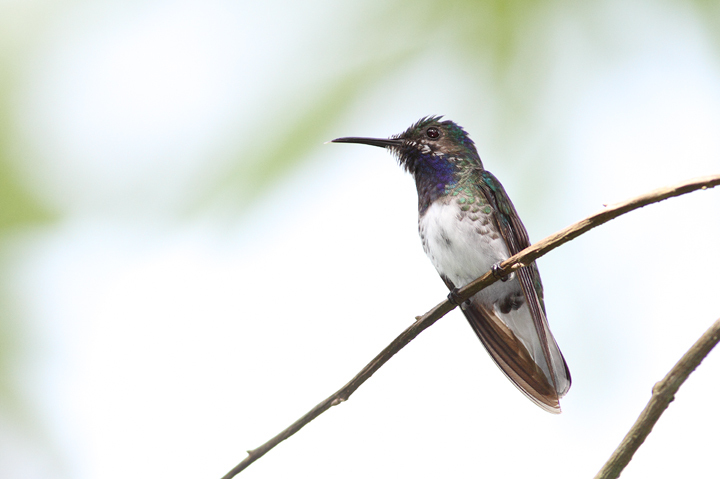 Below: Blue-chested Hummingbird - Rainforest Discovery Center, Panama (July 2010). 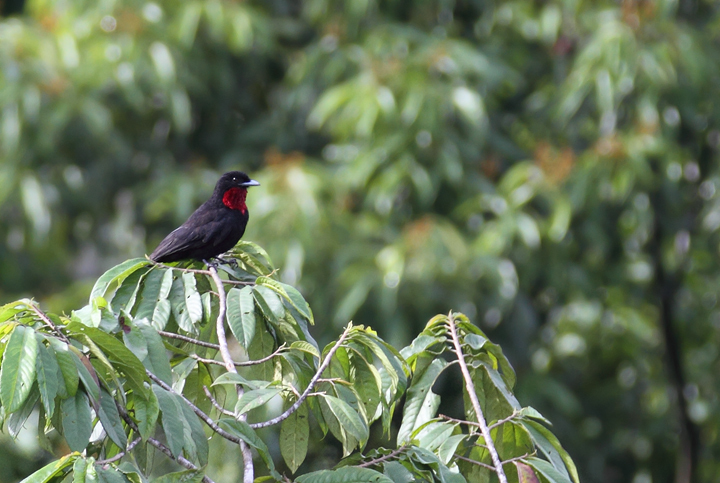 Below: A distant male Purple-throated Fruit-crow (Panama, July 2010). 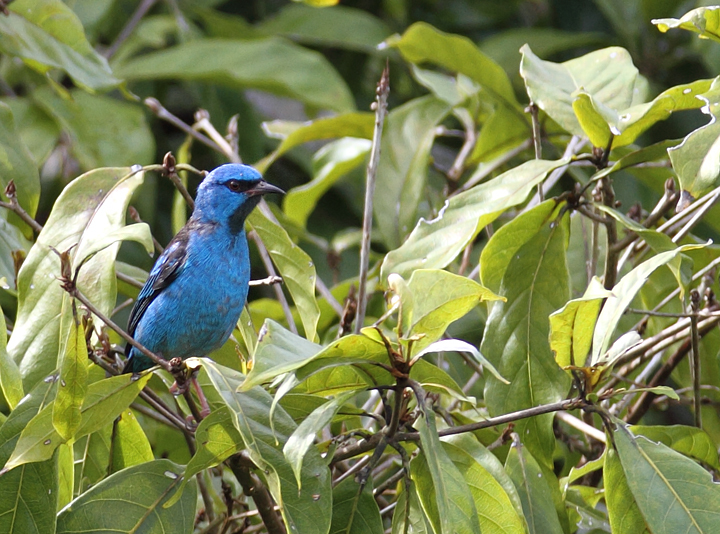 Below: About a mile away, one of the most stunning and sought-after species in Panama - a male Blue Cotinga (July 2010). 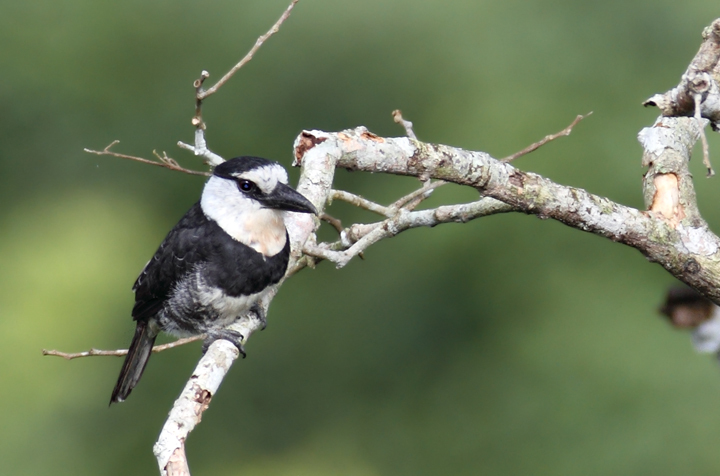 Below: A White-necked Puffbird in the canopy in the early morning (Panama, July 2010). 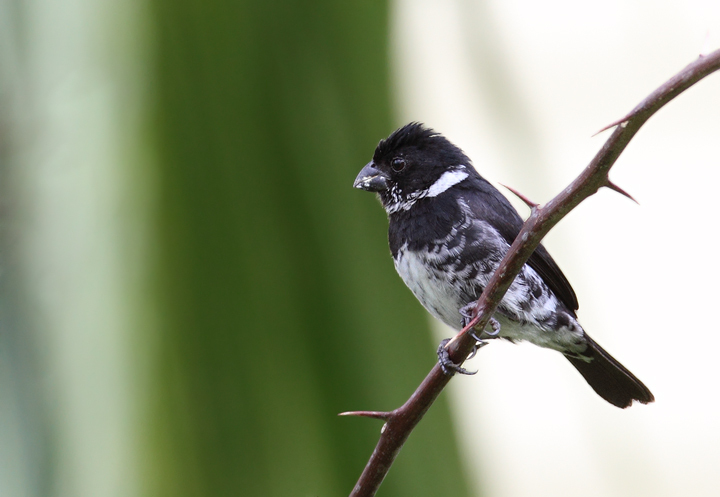 Below: A male Variable Seedeater in Gamboa, Panama (July 2010). 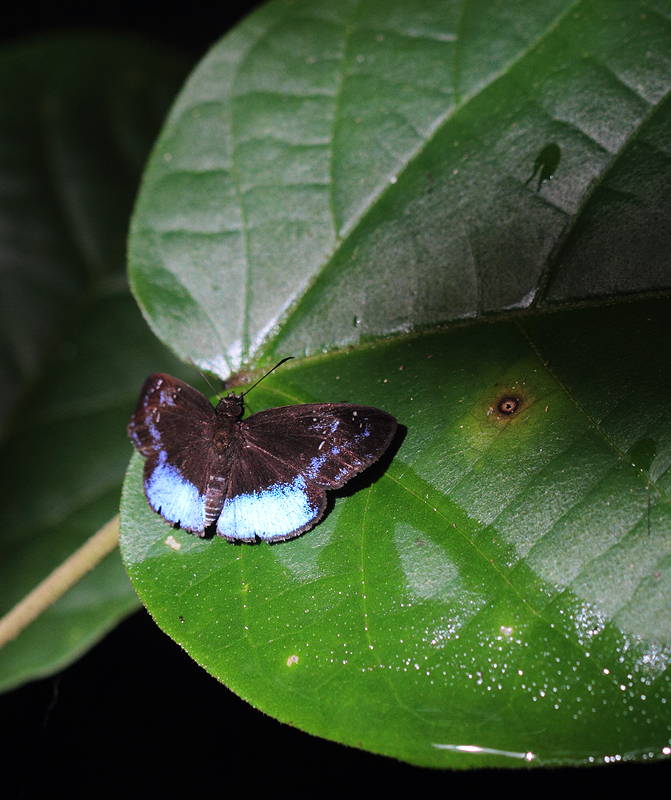 Below: A beautiful Shining Blue-Skipper (Paches polla) in Panama (July 2010). 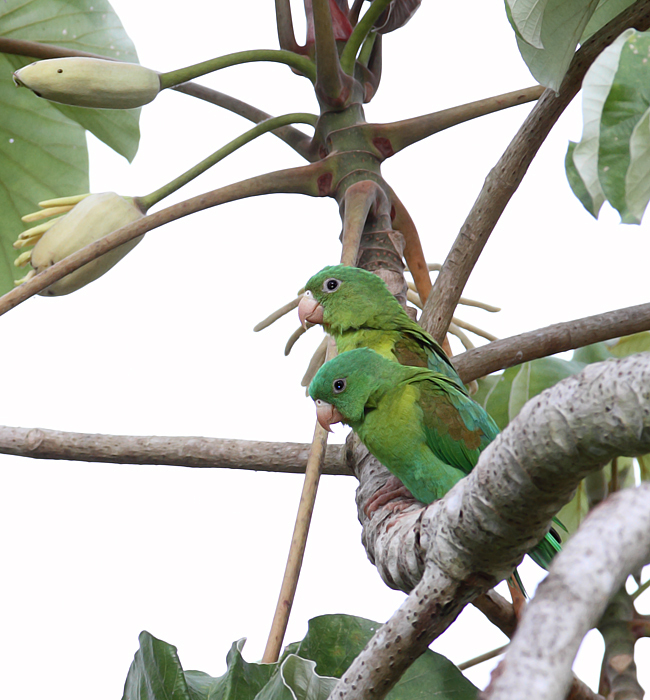 Below: Orange-chinned Parakeets enjoying the good life in Gamboa, Panama (July 2010). 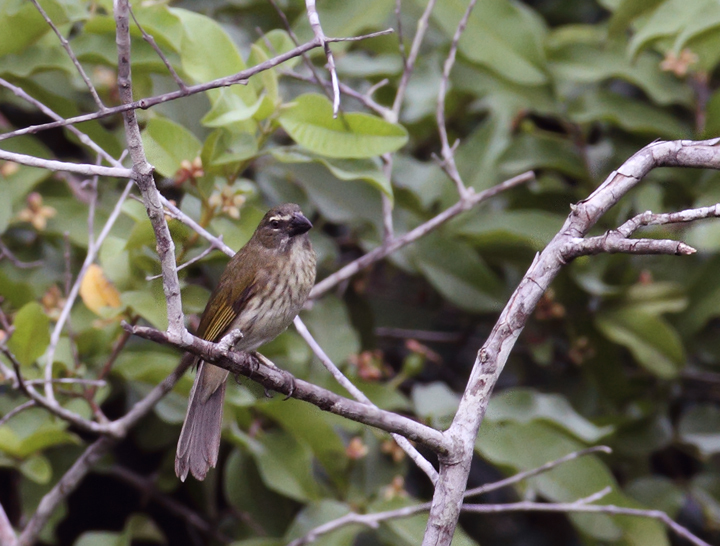 Below: A Streaked Saltator in Gamboa, Panama (July 2010). 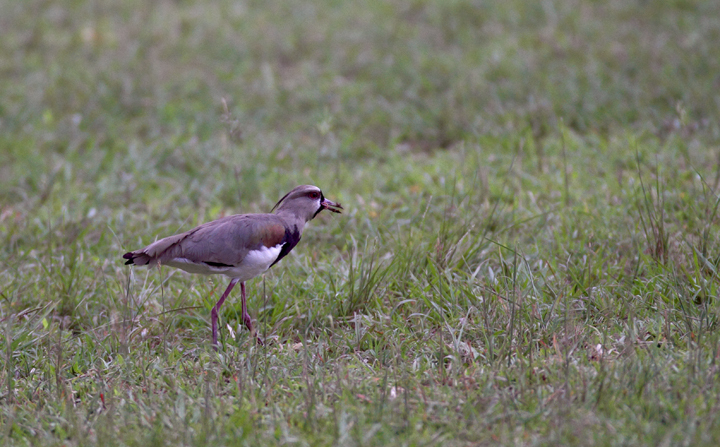 Below: A Southern Lapwing in Gamboa, Panama (July 2010). 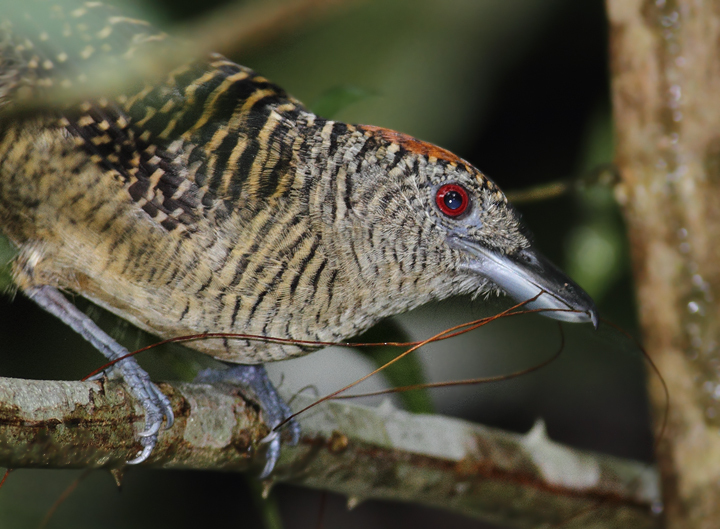 Below: A female Fasciated Antshrike gathering nesting material (Panama, July 2010). 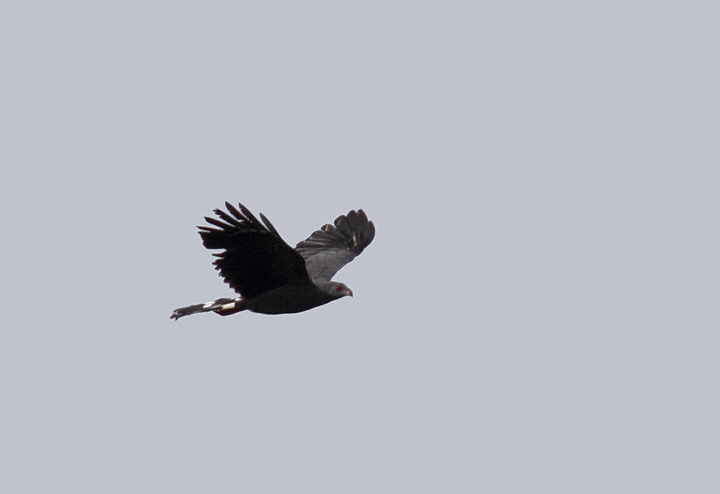 Below: An impressive Crane Hawk transits between perches in the canopy in central Panama (July 2010). 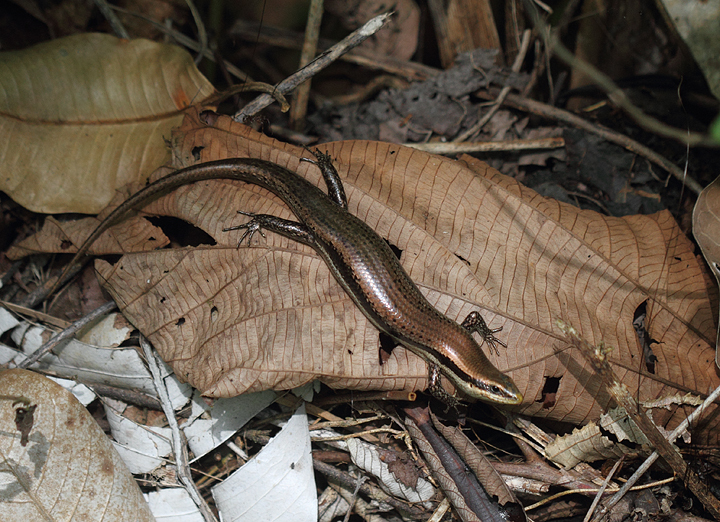 Below: A large skink, presumed Bronze-backed Climbing Skink (Mabuya unimarginata), in the leaf litter (central Panama, July 2010). 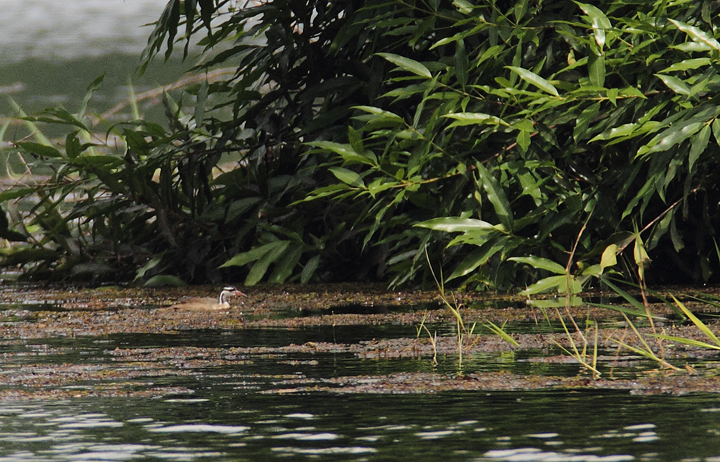 Below: Sungrebe. 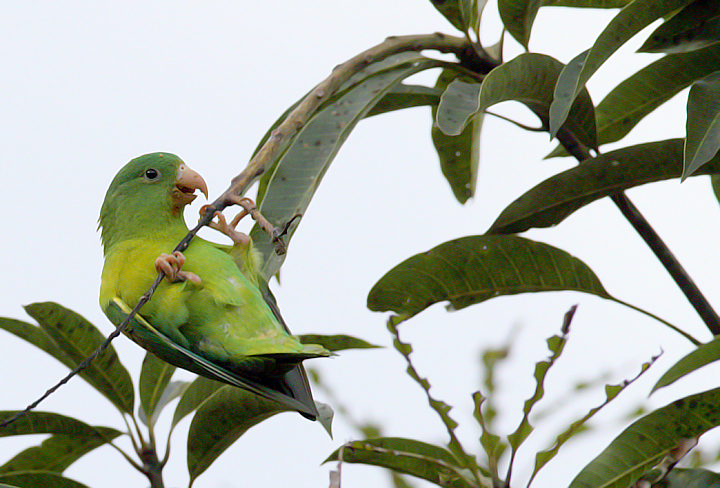 One member of a pair. When your guide gets a life bird, you know you're having a good day. 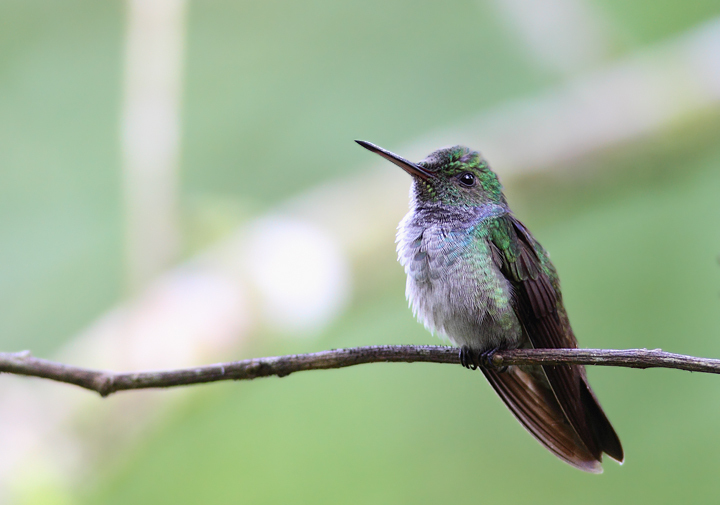 Not only do you get to see a great bird, but they also have to buy beer! Congrats again, Carlos. 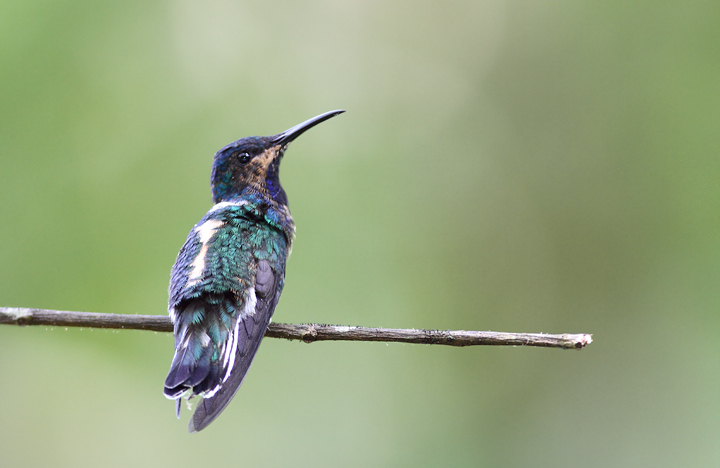 Below: An immature White-necked Jacobin - very cool plumage (Panama, July 2010). 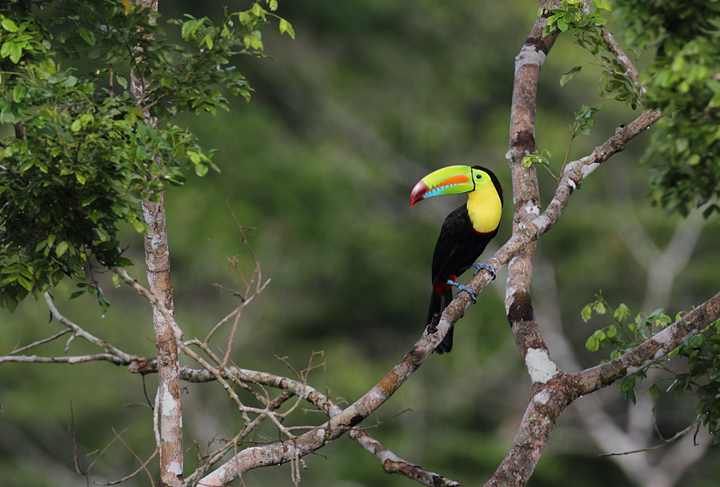 Below: A Keel-billed Toucan - how could these guys not be a favorite? 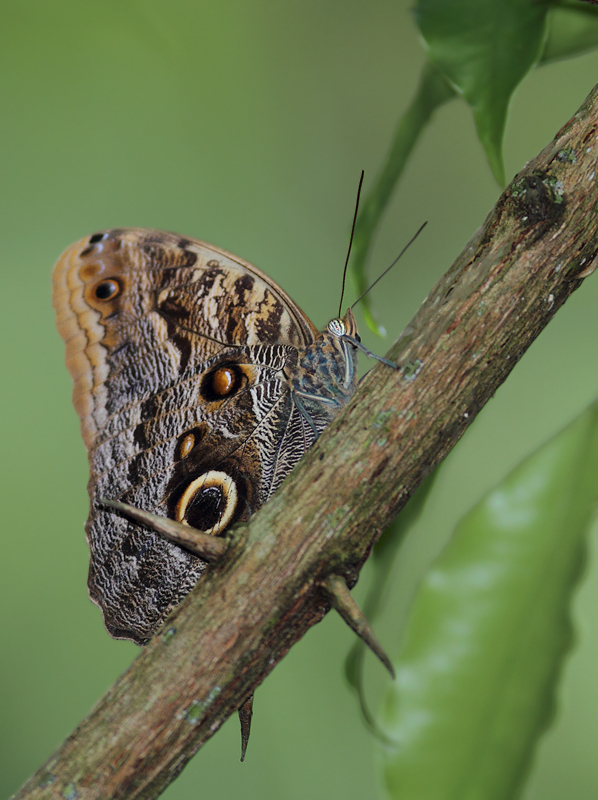 Below: A huge, stunning owl butterfly, Forest Giant Owl (Caligo eurilochus) in Panama (July 2010).